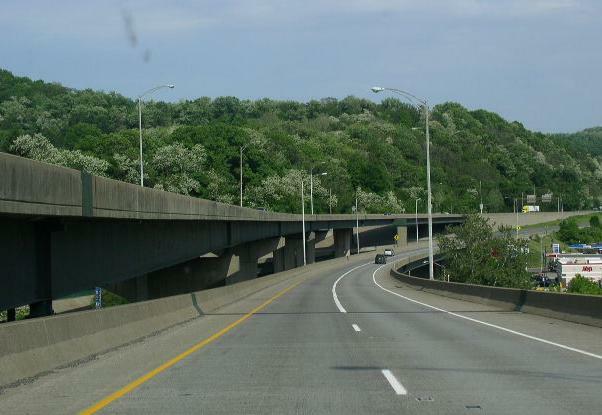 Interstate 470 is one of the two interstates in the tip of Northern West Virginia. 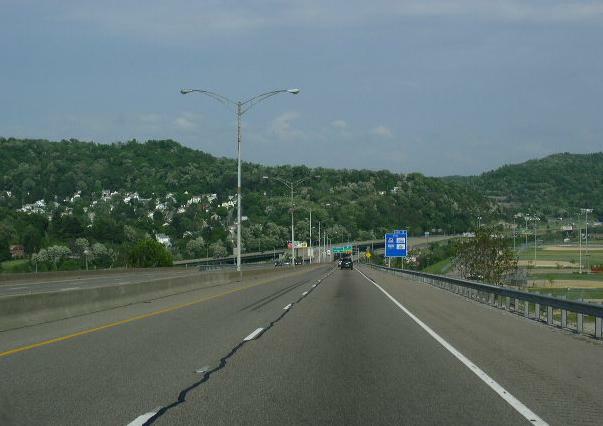 The FHWA Route Log states that I-470 is 3.94 miles long at Wheeling. 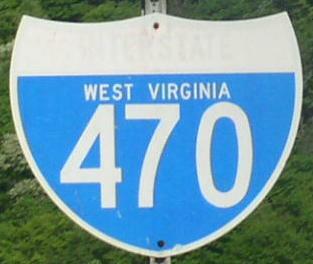 In West Virginia, I-470 is multi-plexed. 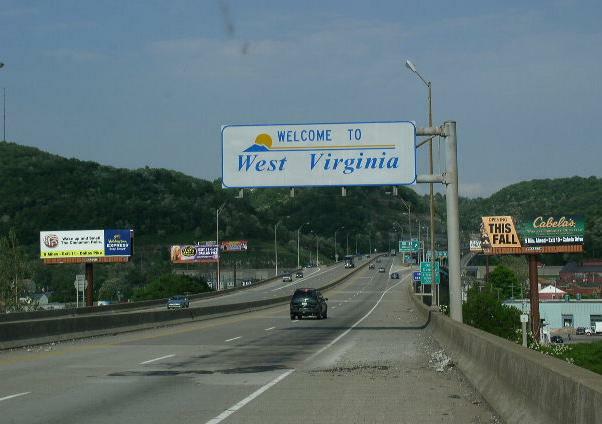 ...West Virginia State Route 88, near Wheeling. 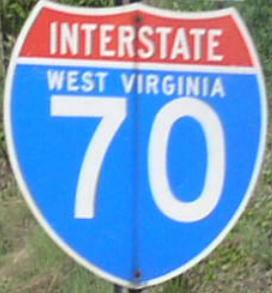 While in West Virginia, Interstate 470 crosses the following interstate. 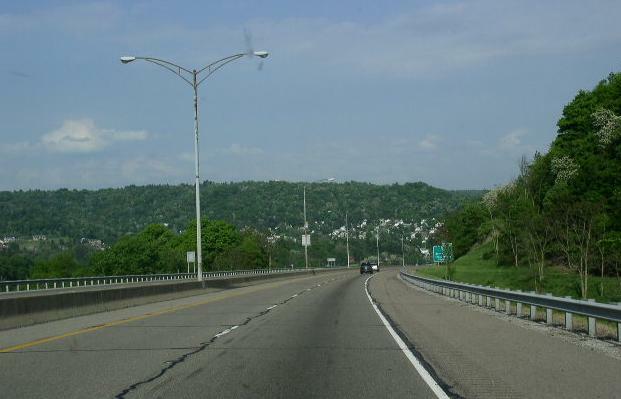 Info on the parent route to I-470. 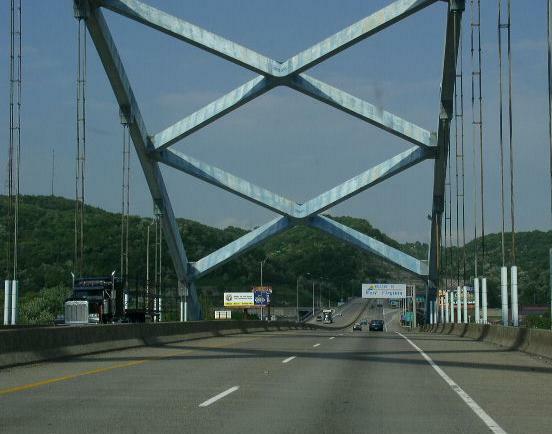 EB I-470 crossing the Ohio River. 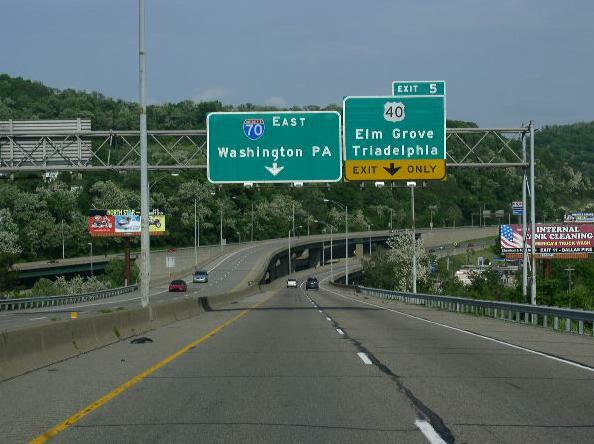 The welcome sign on EB I-470.